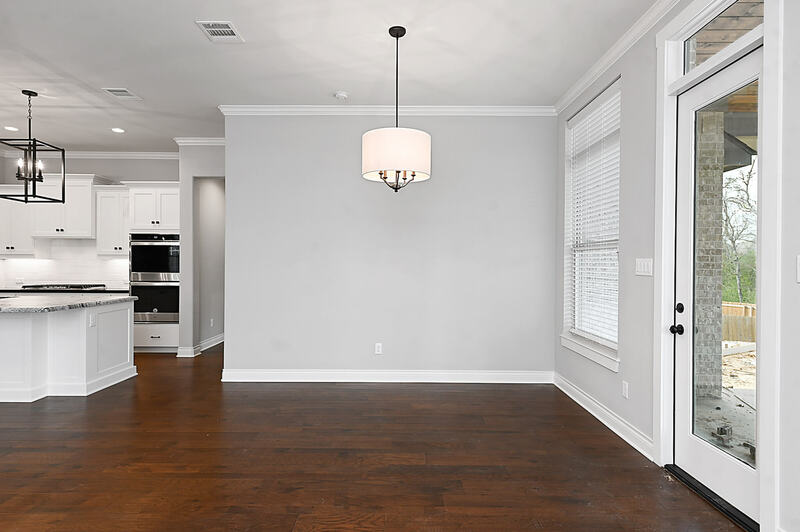 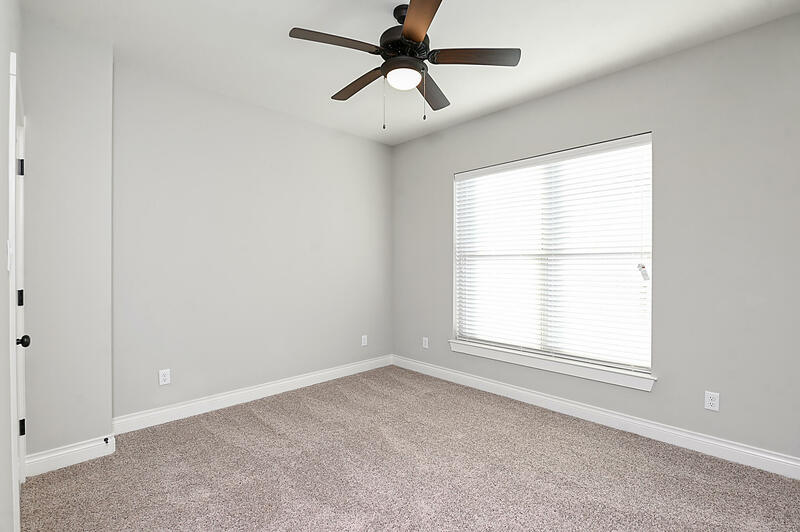 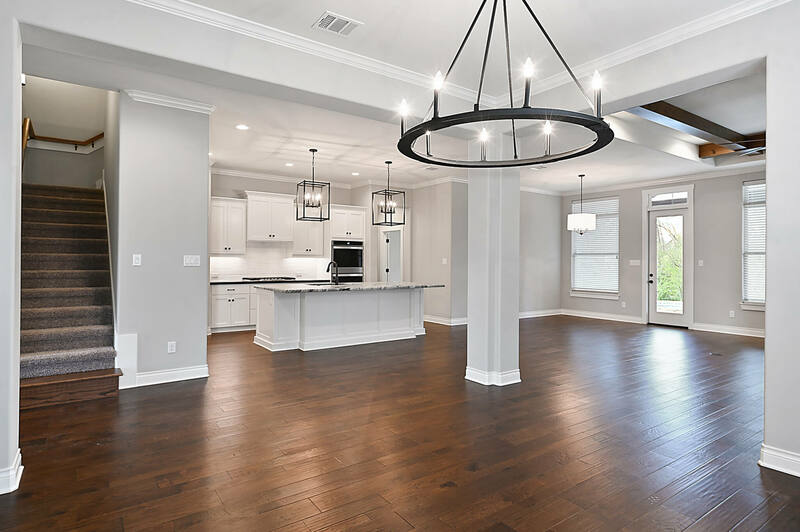 Open concept floor plan with 10' ceilings in main areas and 9' ceilings in bedrooms, bathrooms and closets. 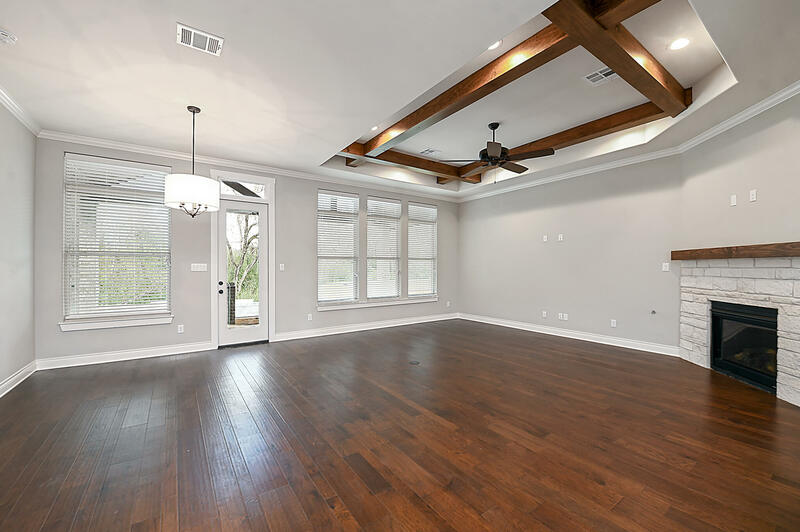 Family room with ceiling treatment and fireplace and dining room open to family area and kitchen. 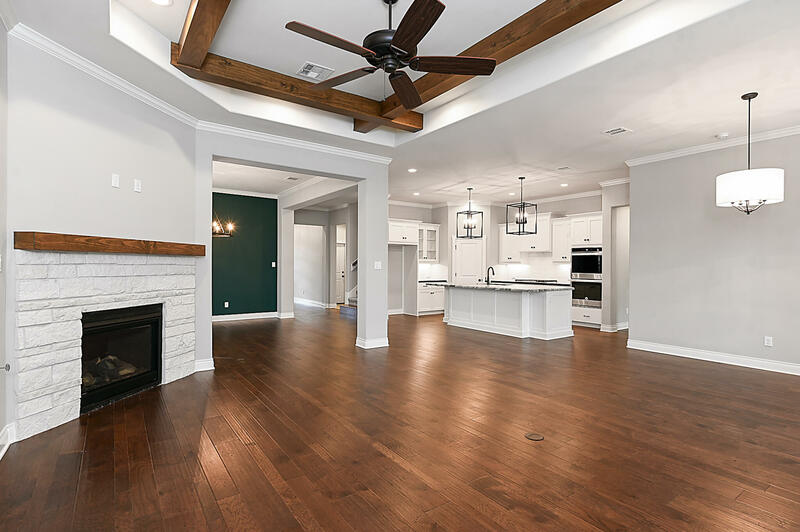 Large covered patio with gas line for BBQ grill and TV connections, open truss patio ceiling and outdoor kitchen are options. 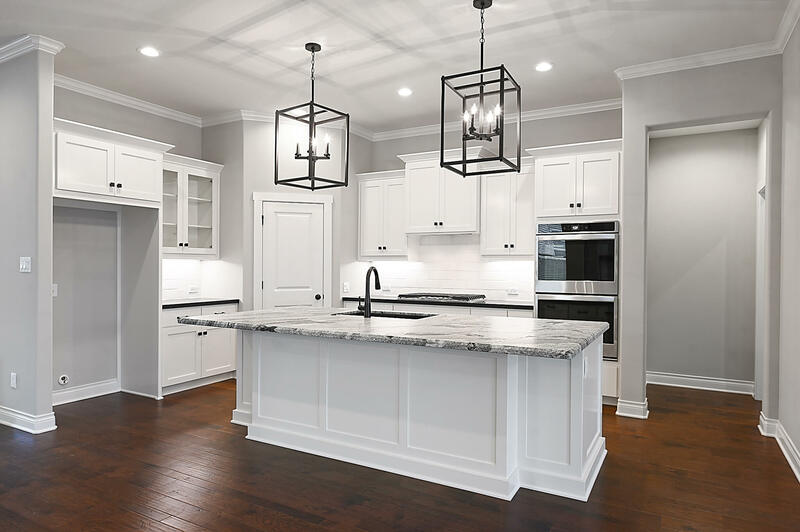 Kitchen with large island and walk-in pantry with built in shelves. 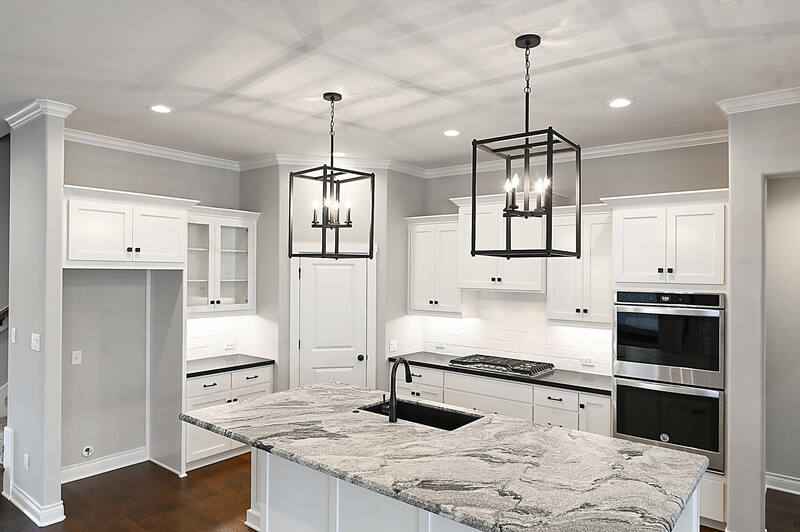 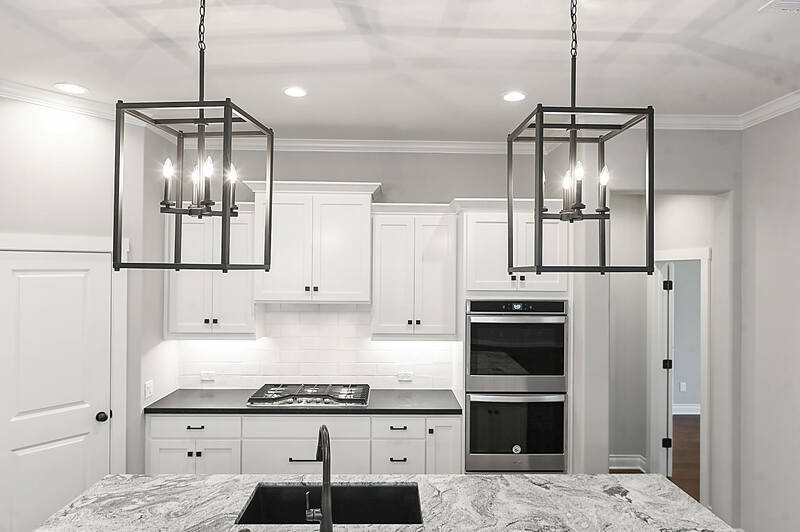 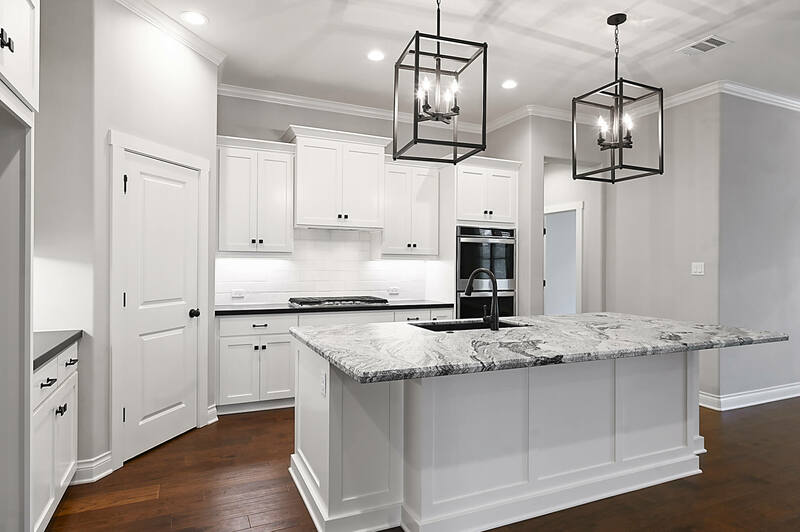 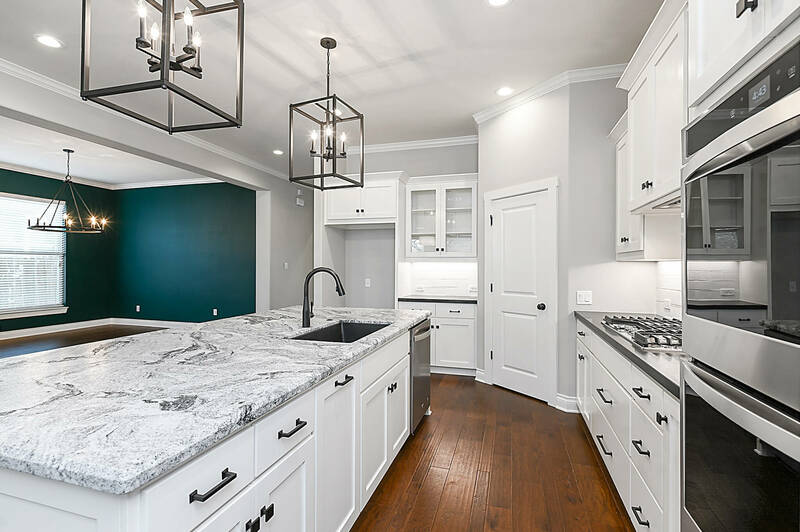 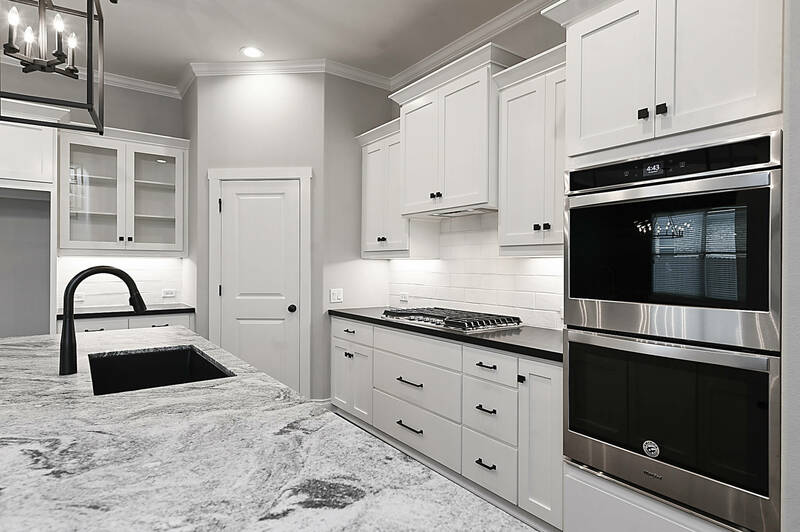 Custom cabinetry with soft-close, double trash-can cabinet, stainless steel appliances and granite/quartz countertops with stainless steel undermount sink are also featured in the kitchen. 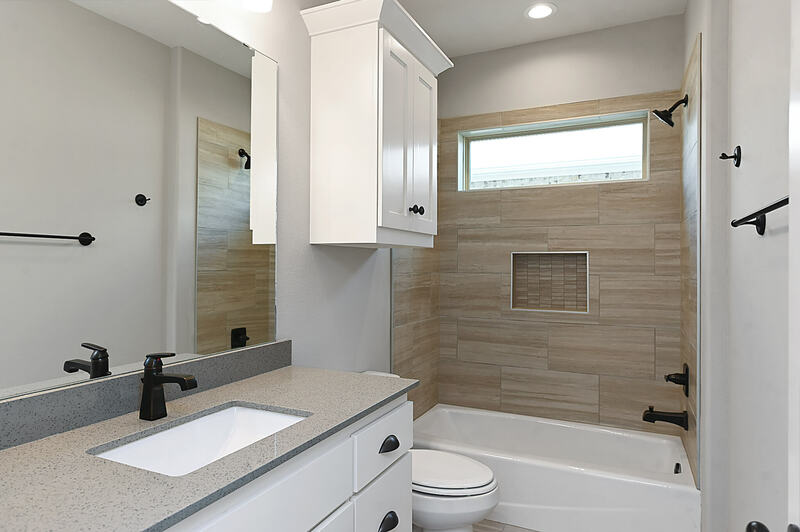 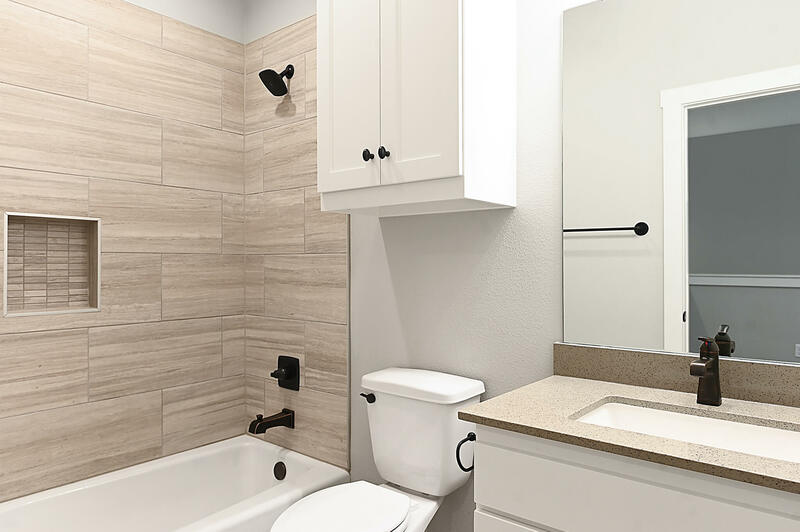 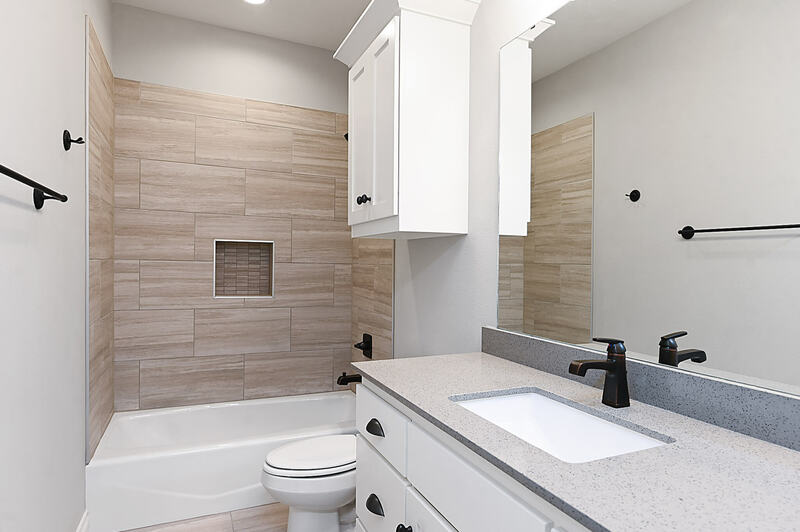 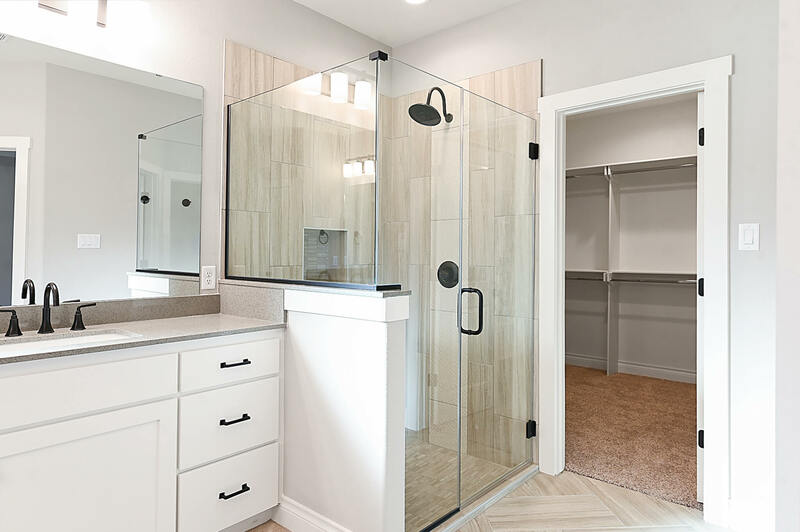 Large utility room with storage and folding table with the option of a sink, drop zone located at the entrance from the garage, and three linen closets and a coat closet throughout the home. 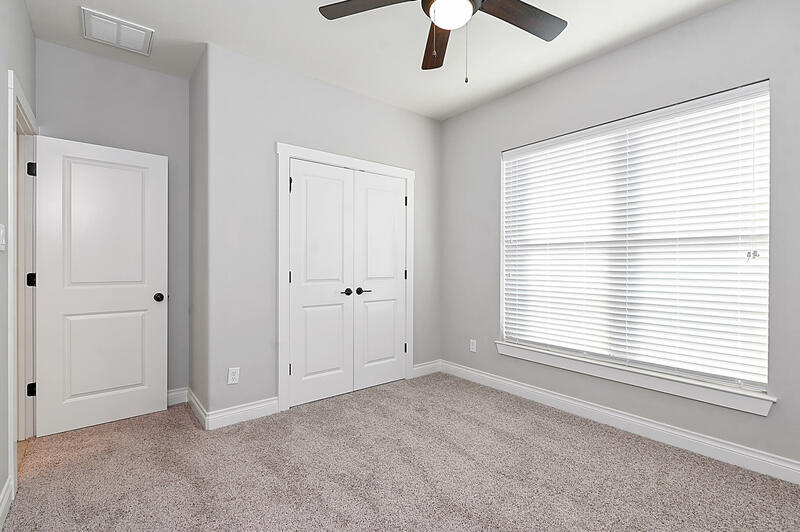 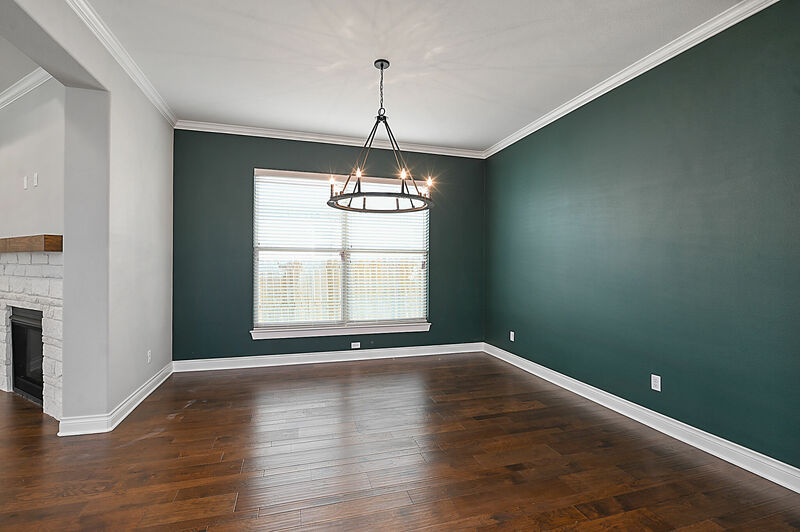 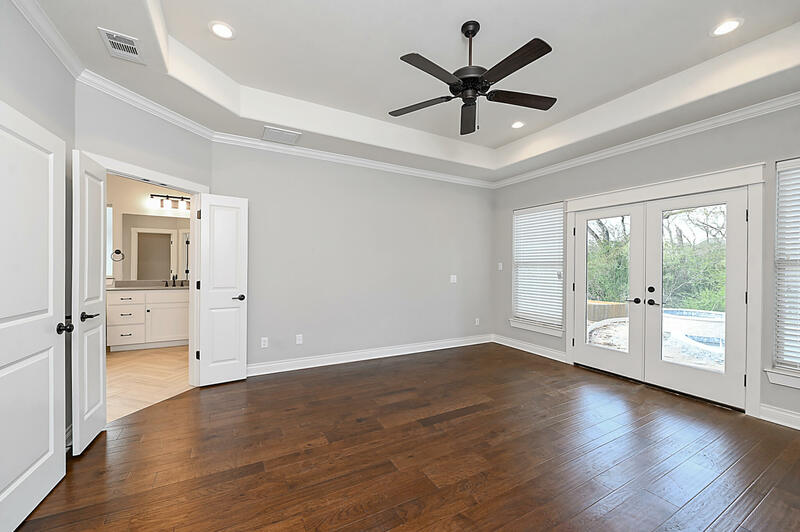 Oversized master bedroom with coffered ceiling and large walk-in closet with shoe shelves. 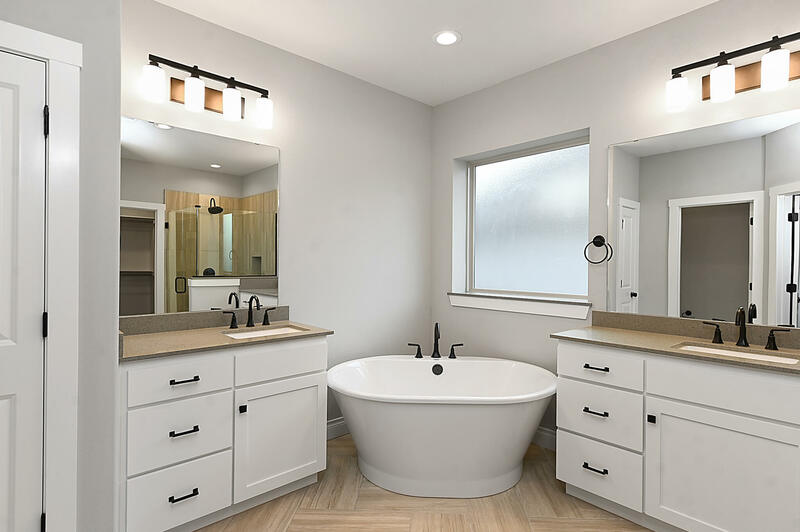 Garden tub, his and her sinks and separate shower with bench in master bathroom. 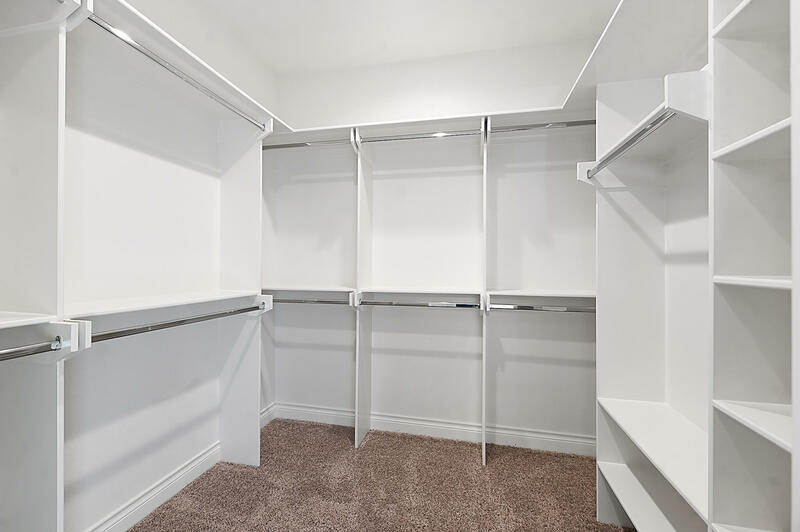 3-car oversized garage with storage area in garage plus 150 sq. 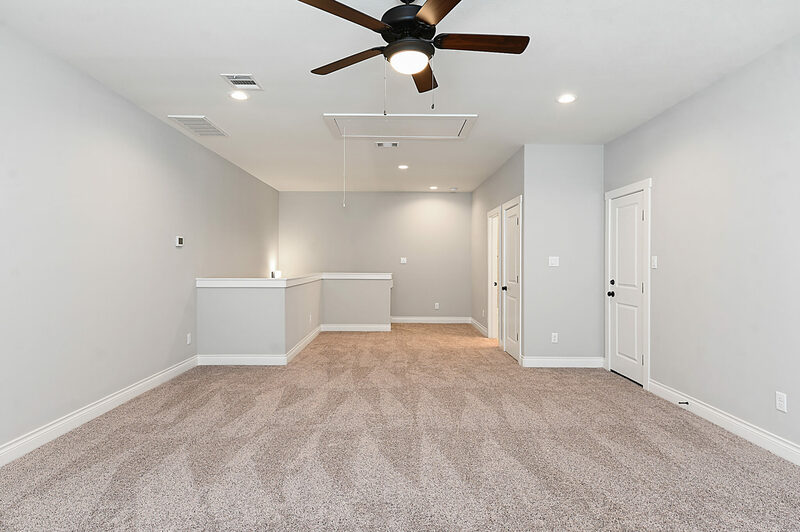 ft. of decked area in attic above garage. 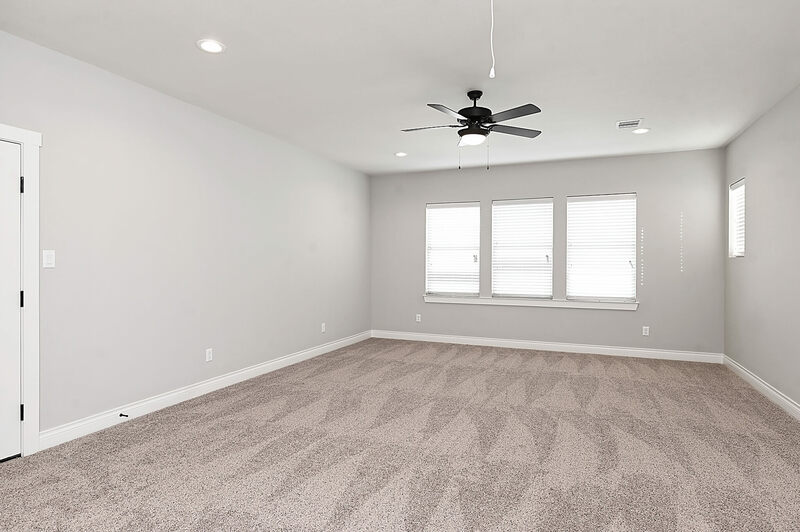 Optional gameroom with powder, and optional 4th bedroom with full size bathroom on 2nd floor. 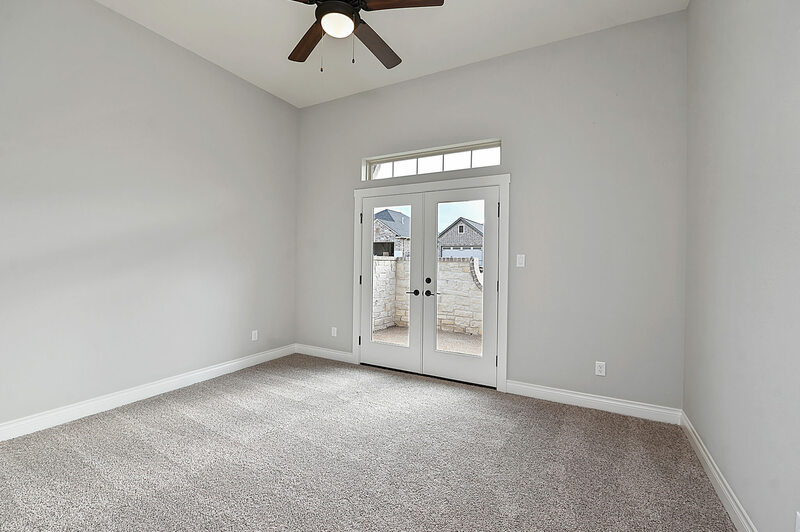 Interactive floorplan below where you can customize and furnish this plan.